It’s not always easy finding the words to write in a get-well card. We want to offer what comfort we can. We want to bring a smile in the middle of a tough day. We definitely DON’T want to say something insensitive. Well, relax, because there are plenty of warm, hopeful, encouraging and even funny things you can say to someone who’s injured or ill. And whatever you write, the simple gesture of reaching out with a card will go a long way toward lifting that person’s spirits. The get-well wishes you write will depend a lot on your recipient and his or her specific health situation. Whether it’s a minor injury or a serious illness, Hallmark’s writers have message ideas to guide you. We hope our tips take some of the pressure off and help you extend a little heartfelt caring to someone who needs it. You don’t have to write a whole lot to lift your recipient’s spirits in a big way. It’s fine to keep your personal message short, sweet and upbeat—especially when the card itself has already said quite a bit. Writing tip: A short “miss you” message can be great for a classmate, co-worker or neighbor confined to a hospital or home because of an injury or illness. It’s a nice little reminder that they’re important to you. Get-well wishes expressing love, gratitude and support are great for family or friends facing illness or injury. A healthy dose of humor can also make a nice, uplifting message for someone you know well. Writing tip: Steer clear of serious advice about treating a health issue, but feel free to offer more general and lighthearted tips about resting up, healing and passing the time. Those should come as a welcome distraction and day brightener. A get-well message to a child is a chance to encourage, send a hug or a smile, and take their mind off the scary or unpleasant stuff for a little while. If you’re able to help with meals, housework, childcare or something else while your recipient is laid up, then feel free to include an offer to do so as part of your message. Just be sure to follow up and follow through. Writing tip: In general, the more specific your offer of help, the better. And no task is too small. Don’t let your fear of saying the wrong thing keep you from saying anything at all to someone facing a serious injury or illness. 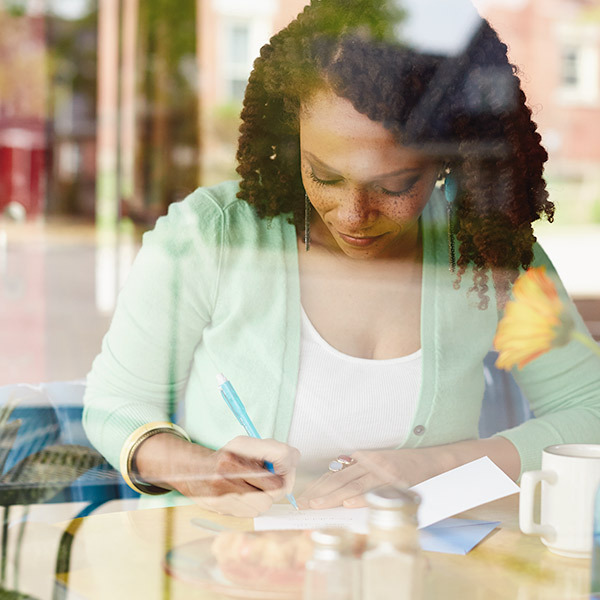 Writing a few lines in a card is a relatively comfortable way to reach out—and your caring will come through loud and clear, whatever you write. Writing tip: If you don’t know what to say, it’s fine to admit it. Your recipient will still appreciate hearing from you, along with your willingness to be honest and real with them. Even when we know for sure that someone is not going to get well, it’s still important to reach out in caring. Writing tip: Near the end of life, there’s a natural opportunity, not only to speak, but also to listen. Consider making your written message an offer to call or visit and do just that. A warm closing before your signature is a perfect way to wrap up any get-well message. Choose one of ours, or come up with one of your own. Additional contributions from Allyson Cook, Jake Gahr, Matt Gowen, Megan Haave and Molly Wigand. Parties & Entertaining What Makes a Welcoming Home? See what trend-inspired gifts are available in Hallmark Gold Crown stores this fall for all your giving needs. Reconnect with friends and family using a personalized and creative thinking of you message.